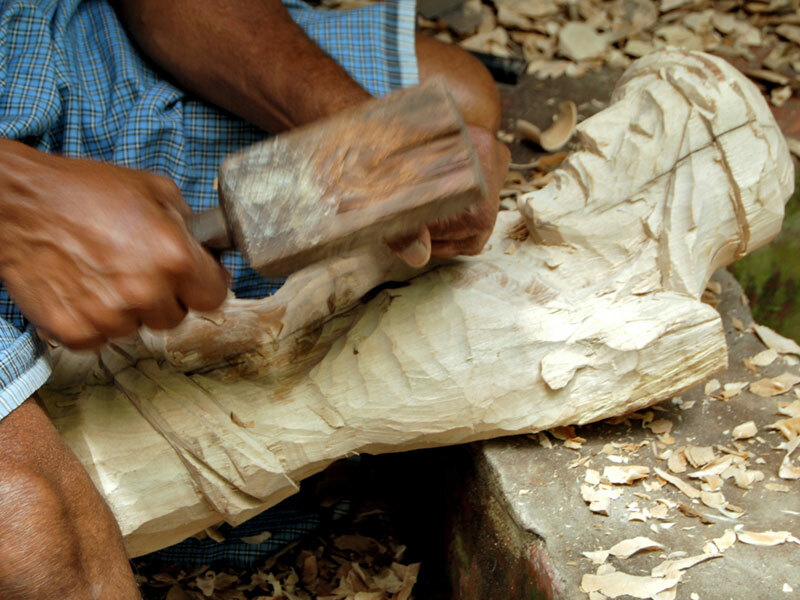 The effigy is used to carve the outline and aligned on the wood for carving. The design is used for reference. 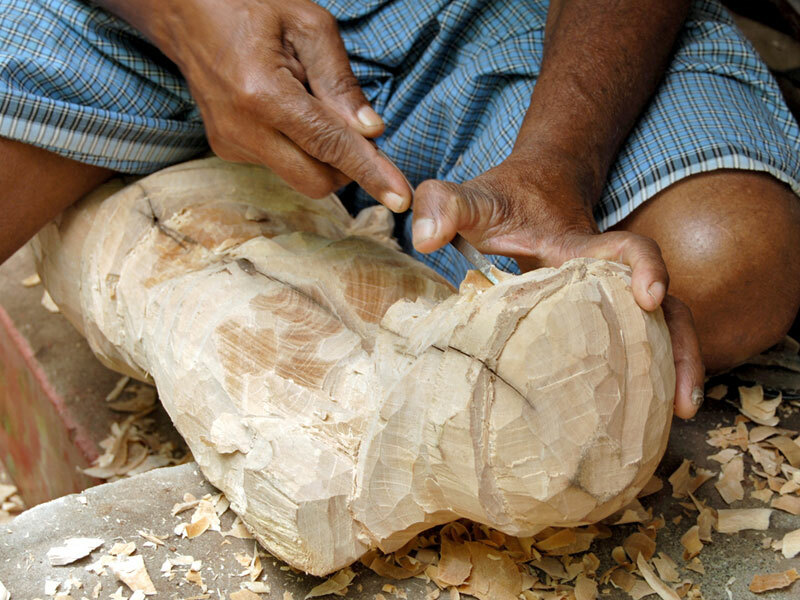 The carving begins from the sides of the log. The wooden hammer helps in engraving on the wood. 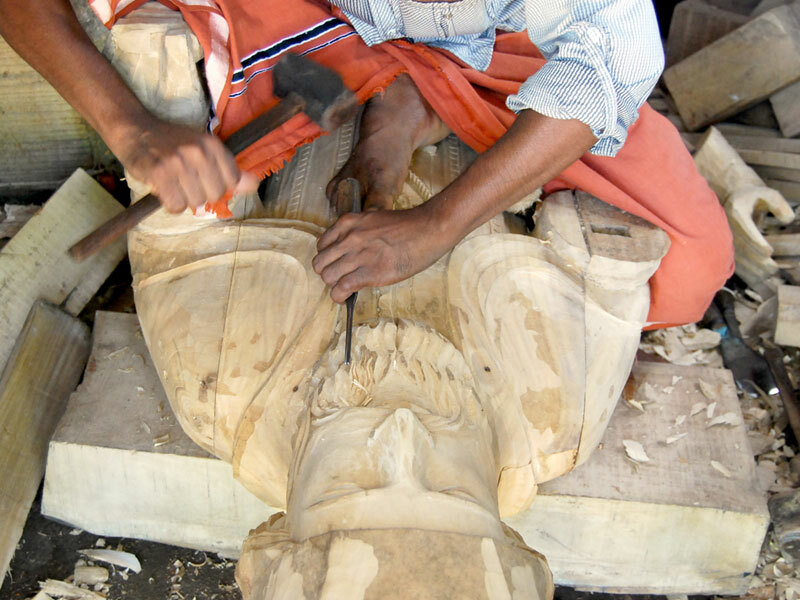 The wood carver is giving facial detail to the statue. 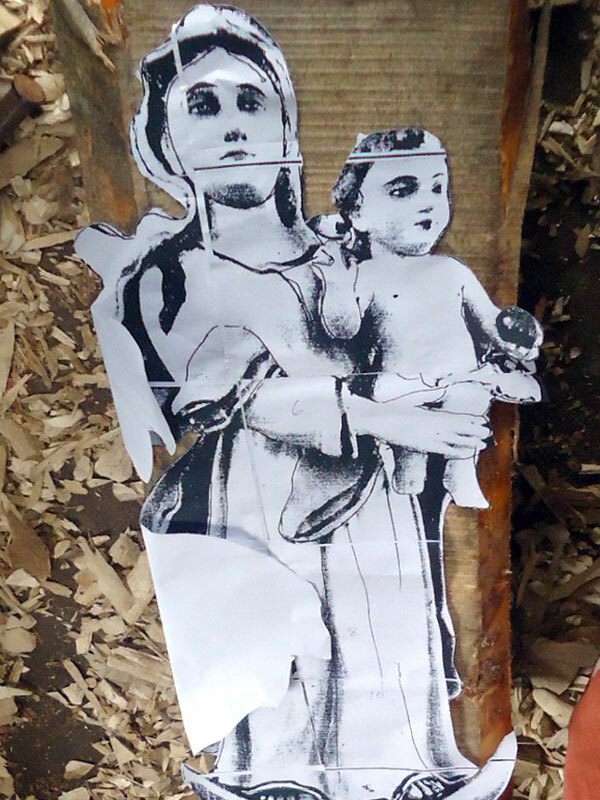 The different parts of the statue are carved separately. 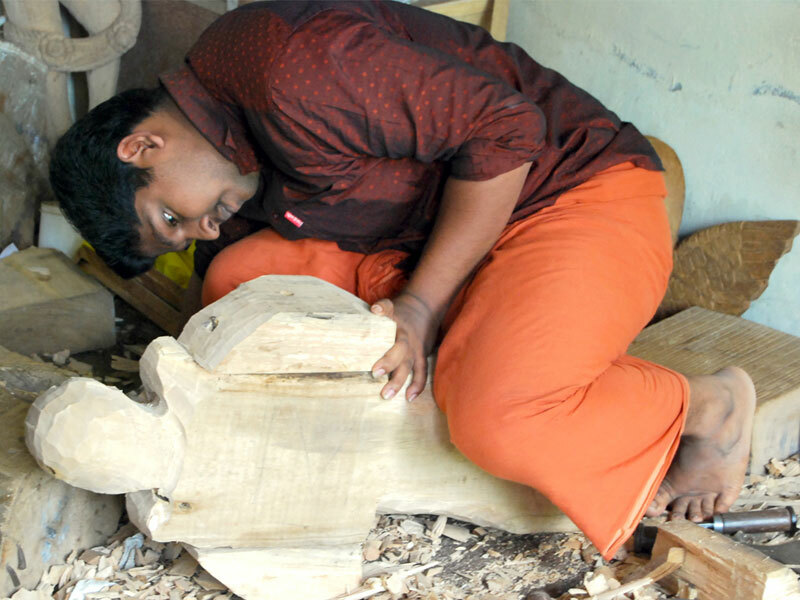 The artisan engrossed in carving process. The sharp edged chisel is used for the fine detailing. All the different parts are joined together using nails. 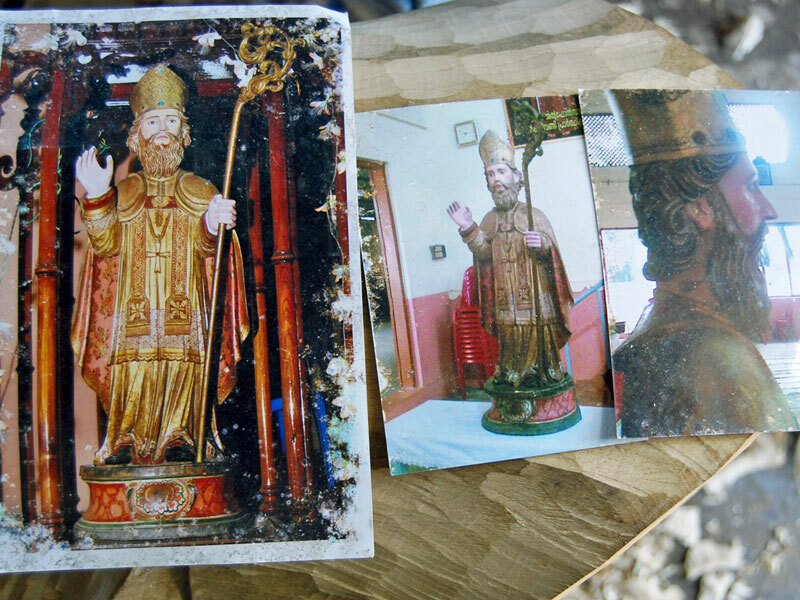 A final statue of the Saint is ready. 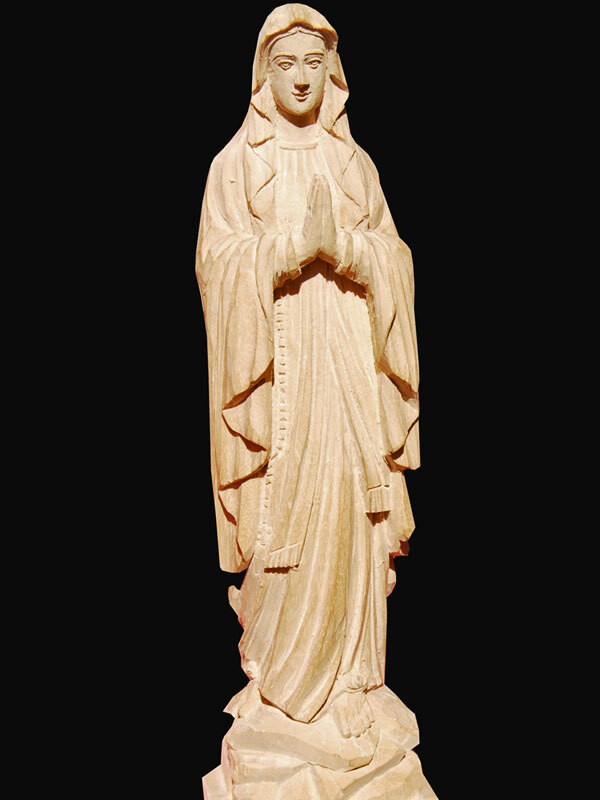 The statue of Saint Mary, skillfully made by the artisans. 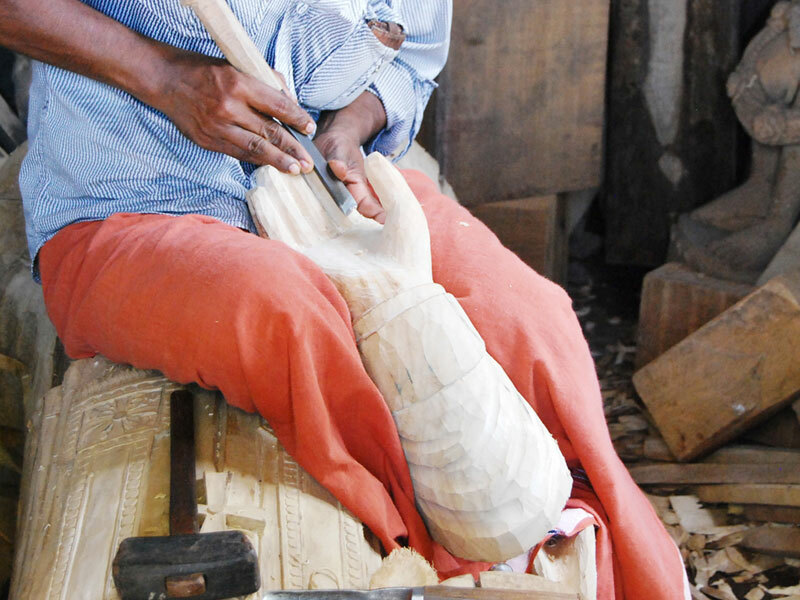 The woodcarvers of Kerala are skilful in making and carving statues of various shapes and sizes. 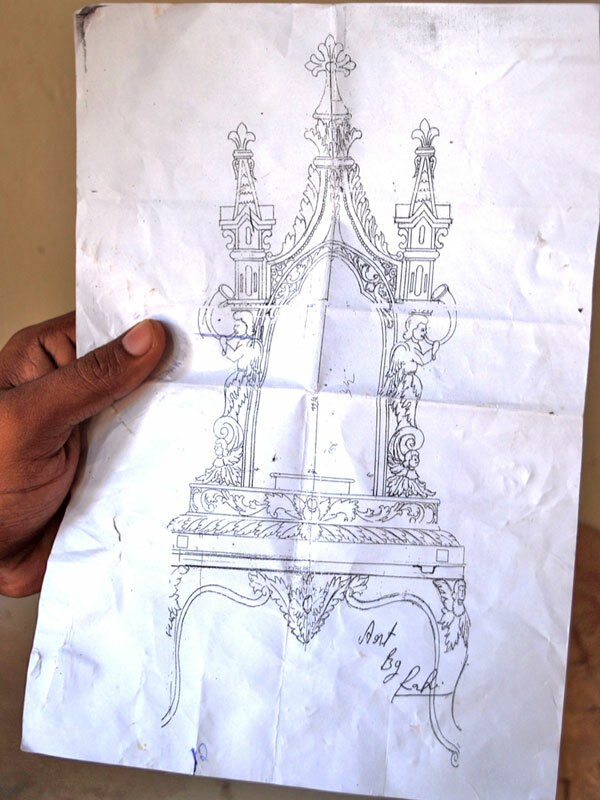 This is a traditional art inherited from their earlier generations. They use the template only for outlining and the remainder is done from memory. Vayalar and Andhkaranazhi beach is located in Alleppey district of Kerala. 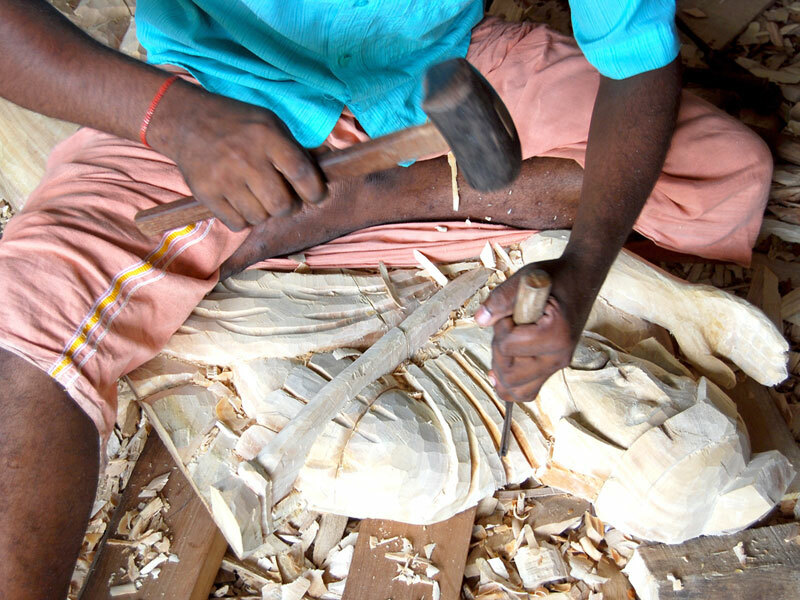 A large number of people who are both skilled or unskilled labourers, work in the coir industry, the sea food industry, wood carving and boat making activities near Cherthala. 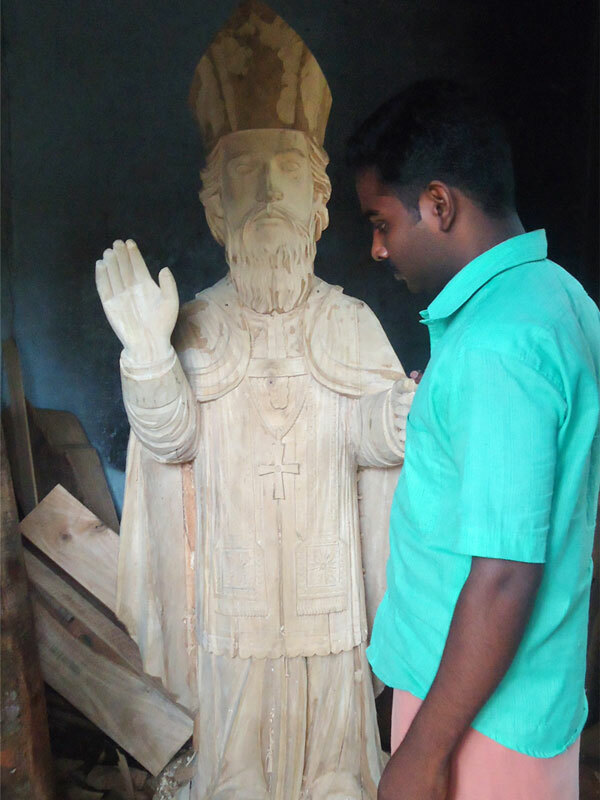 The traditional houses and temples in Kerala are made of wood. 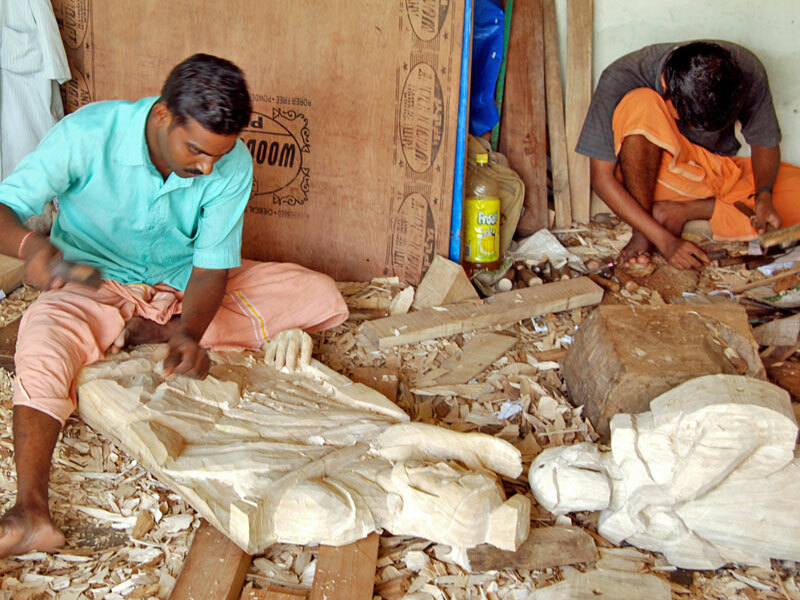 The themes for wood carving crafts are taken from puranic scenes and figures of animals, flowers are carved on furniture, wooden door frames or arch, antique furniture. The main items made of rose wood are animal figures like elephant, horses and tiger and figures of Buddha and Christ statutes, Kathakali masks, pen stand and dressing table are also made out of rose wood.